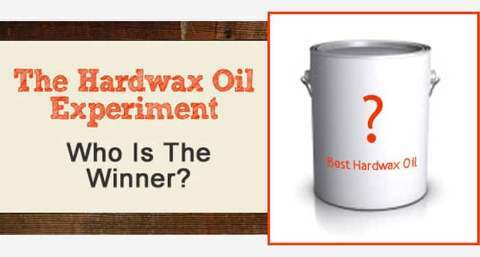 Over the last 4 months we’ve been conducting a huge experiment with the best offerings amongst the hardwax oil family. This week we finally made the decision on which finish will have the great honor of making it into our elite class of finishes we recommend and use. As you can imagine, not many finishes stand up to that sort of a test. We should know, we’ve tested pretty much all of them. 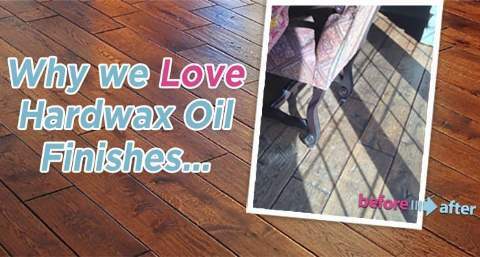 This was a fun experiment for us and very enlightening – because we honestly didn’t think we would be happy with any of these hardwax oil finish systems. Sure they all made big claims, but from experience we know that most claims don’t always turn out as good as the promises. We were very happy to be proven wrong though. First place tie – Pallmann Magic Oil and Rubio Monocoat ! Both of these finishes well and truly passed our testing phase and real-life hardwood floor applications in both residential and commercial projects. 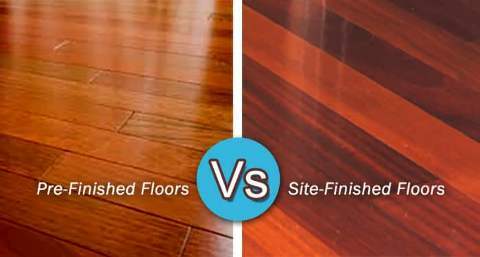 Both are similar in certain characteristics and both have certain advantages over each other – depending on what you value more in a hardwood floor finish. We feel the biggest advantage that Magic Oil has over Monocoat is the thicker finish build along with more sheen. Rubio Monocoat is very matte and is a one coat process. You are literally walking on the wood surface with Monocoat. Magic Oil though is a two coat process (three if you include staining first) and that helps it to obtain its rich velvety feel that has a bit more build to it. We find that a lot of people in our Naperville/Chicago service area are not quite ready for the ultra-matte, low build finishes yet. Surface finishes have been incredibly popular for so long that it is going to take a while for things to change. We can see the trend starting though and a lot of people in the next few years will start using these new very environmentally friendly finishes and matte sheens will be all the rage – or at least a lot more popular. But we’re not there just yet. So for our clients that are used to the thicker “plastic” look of polyurethane finishes, we feel this is a better compromise of sheen and build with all the added advantages hardwax oil has – like repairability and super low VOC’s. 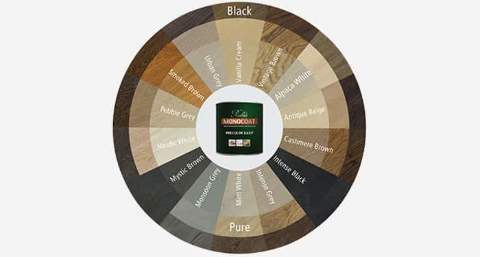 The biggest obvious advantage that Rubio Monocoat offers is the HUGE selection of colors available right out of the tin (with Magic Oil you’ll need to stain first)… and then the incredible amount of different color mixes and affects you can get by using the “Smoked” and “Fumed” options. This really puts this hardwax oil in a category of its own. The patterns, designs and colors you can have on your floor are virtually unlimited. For the creative types, this is the way to go. The other advantage that Monocoat has is that it’s completely VOC free. If you’re looking for the ultimate environmentally friendly hardwood floor finish available at the moment, then you’ll have a hard time finding something better than Monocoat. Magic Oil has a paltry 5g/liter so it’s not a huge advantage, but it is one nonetheless. OSMO Oil is a great finish as well. It only came in second place by a few points – there was no landslide win here. Basically it lost out on a first place finish in two areas. First… because it has the most VOC’s out of the three – 10 times more than second place getter Magic Oil – at 50g/liter. That’s not to say it isn’t environmentally friendly, because it is, very much so. It was just up against some very stiff competition! Second… although it tops Monocoat as far as sheen and build, Magic Oil’s beautiful velvety matte appearance is just that much better in our opinion. Apart from these two areas, the competition between these three hardwax oils in all other factors was extremely close and OSMO is still an extremely good finish. 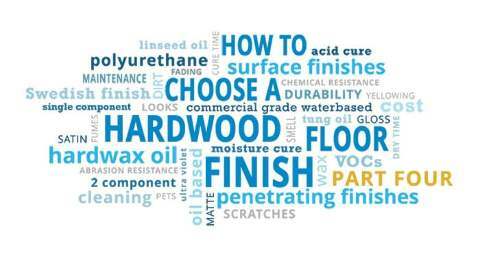 We’re even happier to announce that we will be offering all three of these new finish systems to future clients – Pallmann Magic Oil, Rubio Monocoat and for those that really want it we will even continue offering OSMO Oil. These hardwax oil finish systems really round out our selection of finishes. 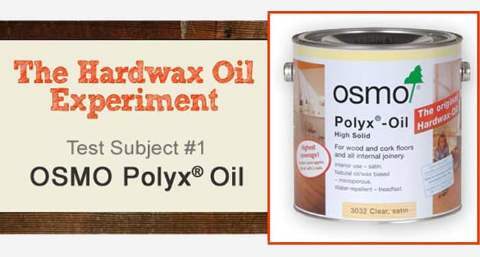 Our hardwax oil systems that offer great low sheen looks, incredibly low or no VOC’s and the exciting possibility of virtually invisible spot repairs in the middle of a room which none of the above can do. Basically your decision will come down to what you value more in a finish. 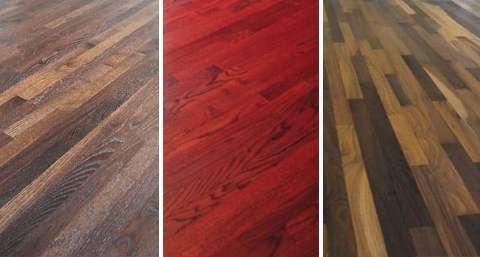 When you call us to come over to provide a free In-Home Audit for you hardwood floors, we’ll be sure to bring along the samples to all these finishes so you can see, touch and compare them in person. We’ll also answer any other questions you may have about any of our finish systems. 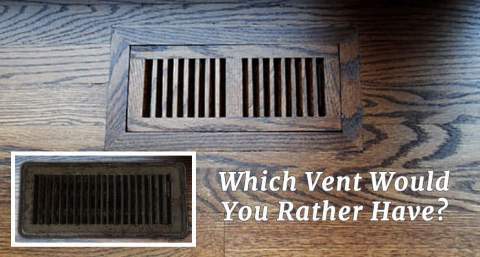 One of them will be perfect for your hardwood floors we’re certain. I’m your new “client” downstate that you’ve helped on the phone, and it’s greatly appreciated. We’re very tempted to use the Osmo on our new construction walnut floors, but once you use it, it would be hard to change your mind and go back to a polyurethane finish, right? Because the oil would be in the cracks of the wood I’m guessing, plus it penetrates INTO the wood so that would all have to be sanded off? I’m just nervous about doing something that is kind of irreversible hah. I need to make this decision pretty soon and I thank you so much for your great advice! How are you doing? Yes you can apply oil based polyurethane in about a week after application if you absolutely need to. 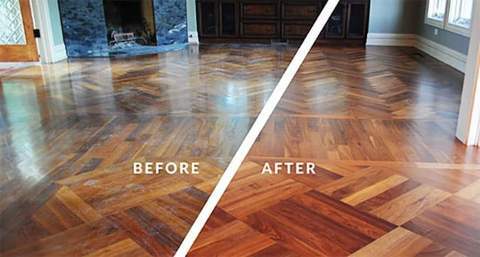 All it takes is buff the hardwood with a maroon pad, vacuum and then apply the poly. I would recommend not to use OSMO if you cannot find an experienced guy though. It is not hard to apply, but there are a few things to watch out for that someone who hasn’t used it before might not know. Thank you for posting this review as these are the two products I’ve been considering using. They’re both awesome products from what I hear and read and only available in a few stores in the Bay Area (I live in SF). I read both reviews and they pushed me over to Rubio, especially after speaking with the folks over at Eco-Home Improvement in Berkeley who told me they tested Osmo in-house and the odor didn’t dissipate quickly enough so they only carry Rubio now. I just need to figure out what kind of wood my floors are constructed with as they have a deep red cherry that I hope can be sanded down. I’m looking at the effects of using fumed and smoked and since they’re not so mainstream have any of your customers used these? You’re welcome. Yes Rubio definitely dissipates quicker than OSMO but both are soo much better in the VOC department compared to other finishes available. I’ve used all of these, OSMO, Monocoat, the fuming (not the smoked). I’ve found that the monocoat was easier to use. The OSMO had more of a built up look as the article stated. Monocoat yellowed the wood slightly more like a varnish or poly would do. I love not having to worry about scratches like you have to with poly. A very forgiving floor. They are both really good products. The Fuming is very interesting and works with oak. BUT it’s tricky! The first time I did it I did not apply it evenly. I ended up running out of the fuming and where I had put it on too heavily it was very dark. You really cant go back and add more because it’s very noticeable where there is overlap. I had to re-sand the floor and try again. It gives you a very nice old brown look. Some of the Navarre floors have that fumed look. I guess if I was not trying to get a 400 year old look and I was not experienced I would stay away from the fumed even though I love the look. What color did you use over the fume to get the old brown look? Thanks. Thanks for your thoughts and experience Richard. Sorry about it not working out for you at first and having to re-sand. Thanks for this comprehensive comparison, its fantastic. 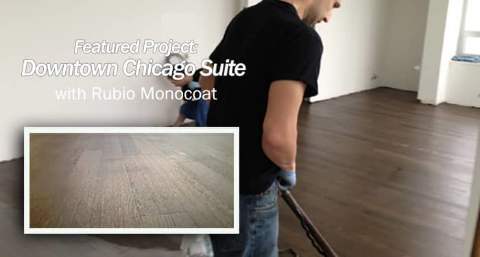 We are planning to use the Rubio Monocoat on our floors. However, on thing you mentioned in your testing concerned me. This was what type of flooring your would not recommend Rubio. We have a 100 year home that still has its original oak flooring that have not been refinished, I assume, ever. There are places that need repair such as filling in gaps holes etc. which I believe Rubio has a wood filler. Would you recommend Pallmann instead of Rubio in this case? WOW! 100 year old never sanded floors! That is a dream job for a floor refinisher that loves historic homes. 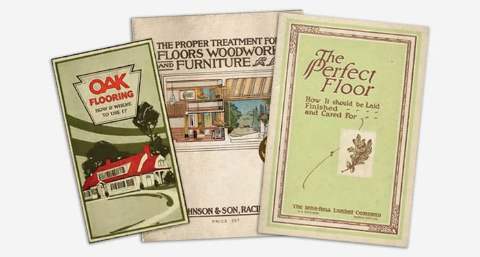 If you were I would love to carefully restore your floors. To answer your question, either one of these finishes should be fine. And yes filler will be fine with either finish too (as long as it’s ok to use in your climate/area). Always test for adhesion first though just to make sure it’s compatible with the brand you use. If they’re badly gapped, you can’t use filler (because gaps are too big or too much movement between seasons) and you’re doing this yourself, then you have all the time in the world (ok maybe not) and you can apply it by hand. Most people wouldn’t be able to afford paying a professional to hand apply these finishes as it takes a lot of time which equals lots of money. That’s why we use buffers, they speed up the process tremendously and make it more affordable to our clients. The problem with buffers and these finishes is that if you have excess gapping, too much finish gets ‘lost’ in them. This stuff isn’t cheap per liter and excess finish in joints/gaps isn’t good either. We also need to make sure any irregularities in the floor like splinters etc are completely smooth so the buffer doesn’t catch on them and rip a huge chunk out of the floor. But, if you have an older floor with lots of “character”… by applying it carefully and slower by hand you can avoid these issues. Hopefully that sheds some light on this issue for you. Oh, and good luck with those wonderful floors of yours. Please find someone that appreciates what they are and who will do them justice. Have you tried Fiddes Hard Wax Oil??? It is a great product. We use it on all of our reclaimed flooring installations, and we also sell to our flooring customers who have other installers. No we haven’t tried it. I see it’s from the UK and quite popular there in certain circles. I’m sure its a good product. The problem with lots of these obscure (in North America) finishes is that they don’t have the support systems in place that allow us to be comfortable in offering them to our clients. If something were to go wrong with the formulation, or the manufacturing, storage, shipping etc. processes – we would be stuck with nowhere to turn other than an overseas manufacturer and lab that is thousands of miles away. Distribution is also a big part of the issue with finishes because the better the distribution system in place is the more likely it will become popular and the product will stick around long-term. There are many finishes that have tried to make a go of it in North America over the years that never quite took off and now the product is impossible to find. If you need the product to touch-up, repair, re-coat or finish other floors in your home down the road, you’re out of luck. The 3 hardwax oils we recommend all have great research, manufacturing, distribution and support systems behind them as well as being great products and that means a lot to us and ultimately to our clients who trust us to offer the best options in this regard. I hope business is going well for you guys and that you can get good market share and sales for your product. I am trying to find out if there is anything that can be done to protect a (heart?) pine floor from two very active 50 lb dogs. I do not mind a slightly distresed look, but I also do not want to let them destroy to floor. I do not know exactly what type of pine it is or what finish it curretly has on it. It was installed in a new house between 2007 and 2009 and has a nice matte finish. It looks great now and does not need to be refinished in general , but I need to find out how to protect it. I might have to go with a lot of rugs until the dogs get older. Any advice would be greatly appreciated! Want to thank you for the reviews of hard wax oils. I have recycled maple flooring throughout my house that had been finished with a low sheen poly. I didn’t like the finish and wanted a natural looking finish with the focus on the wood. Based on your recommendation we selected and used the Monocoat. Just finished the job and are in our 2nd and 3rd week. Had to do it in stages as it is throughout the house – did I mention we have 2 Great Danes? A bit of a challenge but we put down ramboard and that seems to have done the job. LOVE THE RESULTS AND THANK YOU!!!!!! After reading your blog posts I became very intrigued with oiling my red oak floors as opposed to going the traditional route. I live in Toronto and it’s difficult to get these products with the exception of Rubio Monocoat and Bona. I visited a showroom that had floors finished with the Monocoat and was totally blown away. They were the most beautiful floors I’ve ever seen! On a number of these floors I noted that the lustre was not as matt as I had expected. 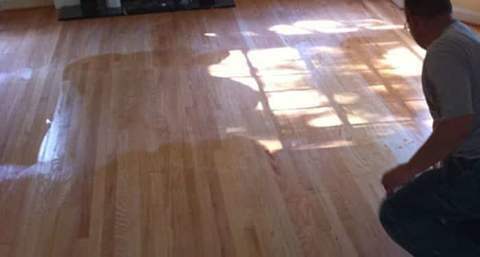 The person who helped me mentioned that they – quite accident – discovered that if, after cure time or longer, the floors were lightly sanded and a second coat was applied and then buffed once more, the result was a slightly higher sheen than matt. In my mind, it was just right – a wonderful velvet lustre. I’d like to go ahead with the Monocoat but I’ve noticed that it’s almost always used with white oak. Sadly, I have red oak. What has your experience been with Monocoat and red oak? Is the pink undertone and accentuated grain a detraction to the finish? Can it look as beautiful as when used with white oak? If so, is there a Monocoat colour you would recommend that would give me the look of white oak, finished in a light colour? Because color is such a personal and subjective thing and all wood has so much variation, get your professional to make up some samples for you so you can choose your facpvorite between them. Good luck Lorena and thanks for stopping by from Canada! I know you’re going to enjoy your Rubio Monocoat floors. Thanks for the very informative blog. Do you have any experience with the Woca Danish Oil wood floor finish? How would it compare to Monocoat? Unfortunately we don’t have any experience with WOCA oil at the moment. A few people have asked recently on our blog here so I’ll have to test it one day. It won’t be for a while though as we’re just about to start another 4 month experiment with another type of finishing system. Can’t wait to see the results of this one! You definitely won’t go wrong with Rubio though. Great blog. I’m looking to refinish my floors over time room by room. A local refinisher recommended Osmo. Of course now I need to look for samples of Rubio and Magic Oil. But in terms DIY application without the use of big tools is there one product that is easier to use? The spaces I will be refinishing is 8×10, 12×15 and 12×18. 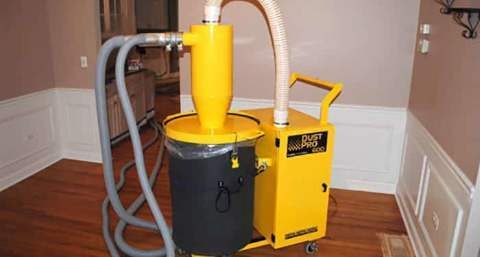 I could rent floor sanders/polishers but was thinking of using hand held buffers if it is really necessary to obtain a good sheen. All three are not too hard to apply with a bit of practice. 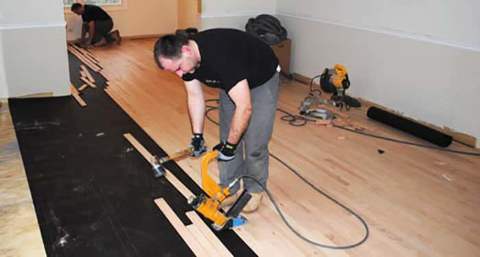 The most important part in the whole process is making sure the floor is sanded to a high standard. Then practice, practice, practice on a test area. OSMO and Magic Oil are two coats and Rubio is one coat so that makes it quite a bit less work. We hand apply these finishes on our sample boards so it’s definitely possible but it would be a lot of hard work for the size of project you have. I would definitely recommend hiring a buffer for the day, it would be worth it for the time savings. Hope if goes well Melinda, good luck! I am having a BC fir floor installed and have been researching different environmentally friendly finishing options. I’m glad I came across your site and the comparison tests you did. I’m leaning towards the Rubio Monocoat, but just want to make sure that it is a good product for BC fir. How much does the clear change the colour? All the samples are on oak, so that makes it hard to imagine what it would to do BC fir. I like the reddish hue of the fir and wouldn’t mind if it was a tad darker, but not alot. Do you know where it is available in Canada, specifically Quebec? To be honest, we haven’t used it on Fir ourselves so I can’t give a fully accurate informed reply. I would imagine that it would turn it into that nice slightly darker hue you’re looking for though. As always, get a sample of the product and test it out to make sure. Good luck Christina, hope it works out for you. My wife has been trying to figure out what to use on our new floors(white oak and walnut)being installed this coming week in up state NY. She researched and your article and tests and a few others confirmed that her choice of Rubio Monocoat(pure) was a good choice so thanks for taking the time to test it and share the results. My question is about application. Do you feel for a 1700 square foot house we could just brush or roll this on and then wipe it down with rags or should we use another method. I see people mentioning buffers. My wife(Swedish) really wants the matte look – no surprise to you and I am under the impression that buffers usually bring out a sheen. Is that true with floors as it is with cars? Any input would be greatly appreciated. Thank you for your time and I will recommend all my relatives in Aurora to reach out to you when in need….hopefully I can help you get some business your way. No it won’t make it shiny by buffing it on, completely different type of product compared to car polish. It will stay a matte to very low satin sheen. I tried the Rubio Monocoat oil plus and it yellowed my wood (pine) it was really really ugly, almost fluorescent, I had to sand it all over again (the whole ceiling..) and I’m now searching for another product, if you know one in Europe please help!!! Sorry to hear that. That’s why we always suggest testing a small area first. That way if you don’t like it it’s easier to sand down. I’m not sure why it would turn fluorescent though??? Did you mistakenly use the Citrine color? That would explain the floro color. Was the wood unfinished before applying the oil? Unfortunately it’s very hard for me to know what went wrong without seeing it. There are many other colors in the Monocoat range to experiment with. Or you could use another product like you said. We haven’t used or tested it yet but I’m pretty sure you can get Ciranova over there (that’s where its from). I’ve heard good things about it. Hope you can get it sorted Flora. Good luck. Thank you for doing the research on this. We really don’t like polyurethane, so it’s nice to know we have durable options. We liked your description of pallmann magic oil as we want a velvety finish, but the only thing hat worries me about pallmann is the daily cleaning routine. I’d really like to just be able to use a dry mop or maybe a damp mop, like you can with monocoat and osmo. Is the pallmann cleaner really necessary? I’m also not sure how non toxic the cleaner is. Do you have any idea? We are going to be finishing the hardwoods sometime in the next few weeks. I appreciate your help! I would definitely be testing out the colors on some scrap pieces first though before committing to the whole floor. Hope you find a color you love. This is great information, and I’m definitely going to refer to it in the future. Question for you, if you don’t mind: I just installed a walnut butcher block counter, and it’s been done so far with two coats of Osmo Top Oil. It looks good, but is really matte. I’d like it to be a bit darker (although I’m assuming it will continue to darken with more coats of Top Oil) and have a little sheen. Is there anything I could put over the Osmo Top Oil? To make the top dark you need to stain it before applying the OSMO oil unfortunately. To get a bit more sheen (remember these are not high sheen finishes), you could apply one more coat and then buff it with a white pad or something similar. That should bring it up to a satin type sheen. Thanks, Tadas! That is helpful. 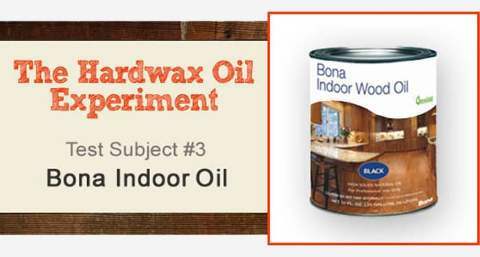 Any idea how a engineered floor and finish like DuChateau® Clear Maintenance Oil compares to these hardwax winners? I’ve never heard of or seen that finish sorry so I can’t compare them for you. Sorry I can’t be of more help. This may be too late for your project, but there are Watco-compatible topcoats that don’t look like a heavy varnish but provide good protection. After Watco is dry (give it 30 days to be safe) it can be top-coated with Minwax Antique Oil or Minwax wipe-on poly. (Watco is part of the same product family–it was bought by Minwax years ago.) Used in thin coats, either product provides good protection in a furniture quality finish. Thanks for your product review. I think we only get Osmo in Aust. We did it on our radiata pine floors and I am very pleased with it, not too much of a yellowy colour pine can go. Thanks for your very informative reviews. Do you think a HWO could be applied to a new wood ceiling? Perhaps with a small hand held buffer or simply a lighter coat that does not need the excess removing? Yes I can’t see why not. It would be a lot harder to apply obviously though. A small buffer like you mentioned could work. Definitely worth trying. It will still need the excess removed though. In the Rubio hompage I can only find the monocoat plus 2c product. Is it a predecessor or a different product and I just can’t find the other? It’s the same product but it includes the previously optional accelerator that allows it to fully cure in 7 days vs 21 days without it. Thanks for the very informative review. I’m installing wide plank walnut floors that are considered “dirty top grade” which will show saw marks, gouges, etc. I want to keep the natural look of Walnut so I don’t want to stain nor poly the floor. What would you suggest? I’m happy to provide a photo of what I’m looking to achieve if you email me. Sorry for the time it took to reply. If you want to keep the natural wood color then the best way is to use a clear waterbased finish. All hardwax and poly finishes will change the wood color because of the oil in it. Hi there – I am glad I stumbled across this site. We built our home almost 13 years ago, installed wide plank heart pine floors and stained and finished with the OSMO hardwax oil. We don’t wear shoes and it has held up well. I am noticing that the finish is “thin” in high traffic areas (showing water marks, etc). It is time to refinish. We were planning on just using the OSMO again, but it smells really bad and I am very chemically sensitive (we moved out last time – not really an option this time). In your opinion, is it possible to use the magic oil finish on top of the OSMO, or are we stuck top coating with the original finish? 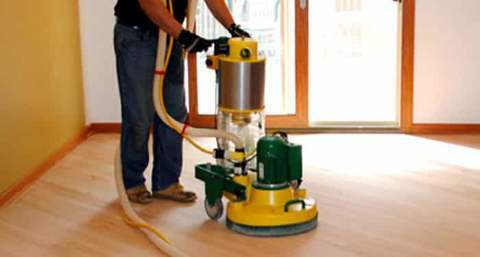 In talking to the manufacturer, there is no prep necessary except for cleaning the floor. Any info would be appreciated! As with others I really appreciate your test of the hardwax oil finishes. Nice to have real life experiments to counter manufacturer’s descriptions. We are installing a locally milled big leaf maple floor in a small space (12 X 16). It is my art studio and will not be heated all the time, and will experience the kind of contraction and expansion you describe for your area, especially since we are so humid in the Pacific Northwest. Will a hardwax oil finish tolerate this kind of fluctuation better than a surface finish? Also, I am looking for an amber tone to match oil-based Varathane that is on French doors already installed. If I pick a colored oil, will the maple stain unevenly? If I use Monocoat which I believe you said has more of an amber tone, will it be uneven also? Is it a strong amber or gold color which I am looking for? Lastly can I use these products on my wood trim so I get the same tone throughout the room? Thank you so much for sharing your knowledge and your passion for floor finishing. Yes a hardwax oil will definitely be more suited to this situation compared to a surface finish. Ideally it would be better to have some form of climate control. As far as the maple, yes, color stains/finishes can go on blotchy. The best thing to do is water pop the floor before application. As far as the color matching, you should do a few tests on scrap wood to get the closest match. And yes you can use these products on trim as well. I’m in Cairns in Australia and am looking for a non-toxic timber floor finish as I have a 2 yo and 6 month old twins. I found your reviews on the hardwax-oils fantastic and very helpful, however, I am still unsure what to use as Cairns is a very tropical environment with hot summers with humidity up to 100%. I believe winter occasionally gets down to 40% humidity, but rarely. Products that work well elsewhere behave very differently here e.g. My husband varnished a cot in a BIO products lacquer a few years back and it was lovely for a couple of years, but this year it has gone tacky and everything – dust, clothes, sheets etc stick to it. I wondered if you could comment on how you would expect the Rubio Monocoat and Pallmann Magic Oil to behave in such a tropical/humid environment. I’m jealous you live in Australia. I would love to visit one day. Wow 100% humidity! I want to say that they should be ok but to be sure I would give them a call in Australia as they know the conditions there way better than me. Hopefully they can give you a definite answer. I’m really excited about doing Rubio Monocoat or Pallmann Magic Oil in our house in Westchester, NY, but am having a difficult time finding someone who has experience with these processes. Many people are willing to have us be their guinea pigs, but that makes me pretty nervous, as these systems don’t appear to be very forgiving. 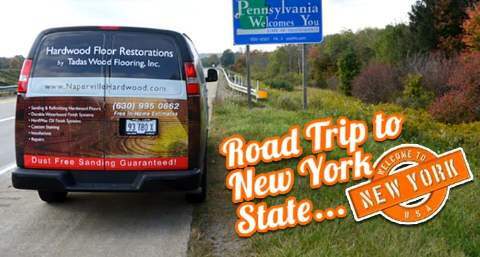 Do you have any recommendations for floor refinishers in the great New York City area? Thank you! I’m surprised that more from that area haven’t jumped on board with these amazing finishes. It’s hard to change old habits I guess. I hope you can find someone good. If you do and you’re happy with their work, please come back and let us know so anyone else looking down the road can use them. There has to be someone up that way that is skilled in these finishes. 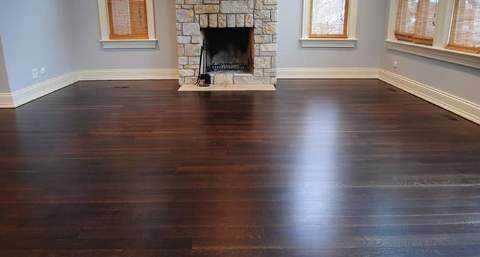 Any hesitation applying hardwax oil over liming wax on a white oak floor? I’ve never seen liming wax let alone used it before sorry. Best thing to do would be to experiment on a scrap piece of flooring and see how you go. I would suggest starting off with OSMO. we have fumed white oak floors and finished them with clear Rubio Monocoat. They are going on their second year and I couldn’t be happier. The floors were fumed the old fashioned way – in vents with high concentration amonia. We didn’t use the fumed monocoat because I had heard mixed reviews about the results. Applying the monocoat was super easy and fast. We moved in to the house 7 days after finishing and there was never a smell. I now have a raw black walnut dining table and am trying to determine the best way to finish it. I am tempted to go with Rubio Monocoat because it was so easy and it looks so nice. However, with a house full of matte floors, I was thinking a finish with some shine would be nice on the table. I am looking for something that is very low VOC because we have to finish it inside. Any suggestions? I don’t want to add color to it. If you want low VOC’s and no added color, then you would need to look at a commercial grade 2 part waterbased finish from someone reputable like Pallmann or BonaKemi. If you want to stick with a hardwax oil then Pallmann Magic Oil has more sheen … but it will add some color as it is oil based. Thank you so much for this! It is wonderful and thorough. We refinished our floors ourselves with Rubio in the charcoal color 2 years ago. 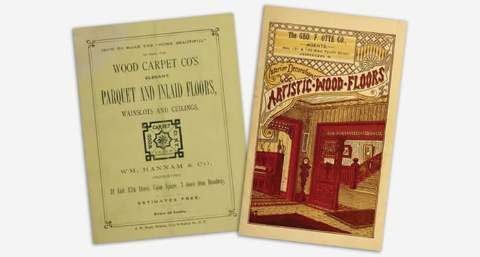 The floors were 60 years old and had probably been refinished once. We picked the charcoal color, because there were a several pet stains, and we were unsure whether they would sand out. The stains did end up coming out, but we put the color on anyway. We just had our kitchen renovated and are considering going with a light color and resanding the other floors to make it match. However, the floors to have some gaps in then. I was wondering your opinion as to whether the Rubio will have soaked into the gaps in the wood and will show up with the pure finish. Sorry for the late reply. The oil should not have soaked down into the gaps unless you trowelled it on very heavy. We buff ours on so as to avoid this issue. My suggestion would be to test out a small area first and see what it looks like. Depending on where you live and the climate, you could use a filler to fill in the gaps as well. Many thanks for the well researched and well written article! Can you attach blue tape to freshly done floor with Rubio Monocoat Oil in order to paint baseboards? Or tape can make damage to Rubio Oil? Can Duraseal wood filler be used for patching gaps if you plan to apply Rubio’s Oil? Blue tape probably won’t stick to the new Rubio finish… but I wouldn’t do it on my own house. I would wait about a week before putting tape on the floor. Dura Seal wood filler will work with Rubio oil, but not with fumed or smoked. So many hours of research! I live in Grand Rapids, mi and have 2 kids and a dog. But more importantly, we are the house that everyone comes to for the holidays, neighborhood kids come to play in and around and through. Shoes are not taken off regularly. We LIVE in our house! I’ve considered laminate, engineered, hard wood and even luxury vinyle tile. So far, oiled finishes on either engineered or hard wood seemed the way to go – until I read about the maintenance. Re-oiling every few months is out of the question, Every few years is doable. Thank you for providing information about these hardwax finishes. Looks like these might fit the bill. However, I am wondering how the cafe is holding up? You did a four month review, but how did it wear over a few years? Water damage? Did the floors fade where they weren’t covered? Sorry I missed your post. Unfortunately the owner of the café hasn’t followed our maintenance instructions. A non-recommended chemical cleaner has been regularly used and there have been no suggested maintenance coats applied despite our pleadings. hi there, i am thinking of using Rubio Monocoat with one of the stain colours on my Cypress pine floor. Just wondering if you know if the stain would take ok to this type of wood? i’ve read conflicting information about that. is it possible to stain the wood first and then use Rubio over the top? We haven’t used it with Cypress yet sorry so I couldn’t say for certain. That’s a very rare wood over here, more common in Australia. The color selection is unlimited. Thank you so much for sharing such thorough, detailed reviews of these hardwax oils. I’m totally new to having hardwood floors in my home and I won’t get them if I can’t get a low to no-VOC finish on them. I thought I was out of luck until I came across hardwax oils. Your blog has been extremely informative and helpful for helping me to decide which hardwax oil to use on my new floor (will be either Magic Oil or Monocoat). Thank you so much for so generously sharing all the results of your time consuming tests and your expert opinions on the products. Thank you so much for your very helpful blog and information, including its longevity! I have read all of the comments and have learned much. 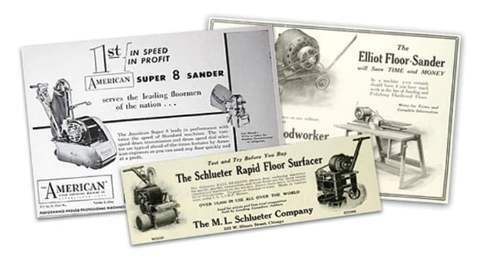 Clearly, your group is emerging as a leader and a resource in floor finish innovations. 1. Multiple, independent folks have posted kitchen/dining related problems with Rubio (immediate and frequent spots from food, grease, etc. = high maintenance challenge). Do you think this is only due to multiple folks leaving too much finish on–or is this emerging to be a problem with the Rubio product? 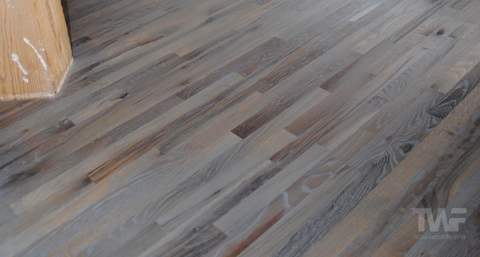 To help answer this question…do you know of homes where lighter colored hardwoods finished with Rubio are doing just fine/very good in kitchens/dining rooms etc. where food is regularly being dropped? 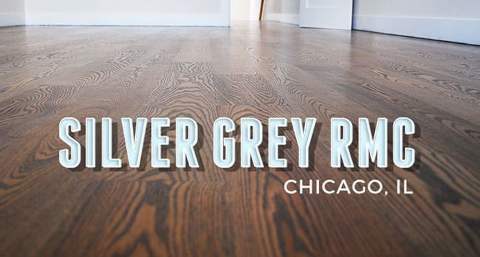 We are very attracted to the natural look/low VOC/repairability features of these finishes, but we are making a major investment in our flooring and want to make sure we are making decisions with eyes wide open :) We would welcome any suggestions you have for our situation. We need to make decision soon so hoping this will reach you. Thanks so much! In answer to the first question, yes we do know of Rubio Monocoat on light colored floors in kitchens that are performing well. I’m not sure of how ‘messy’ they are though. None of our many Rubio clients have had any issues that we know of. 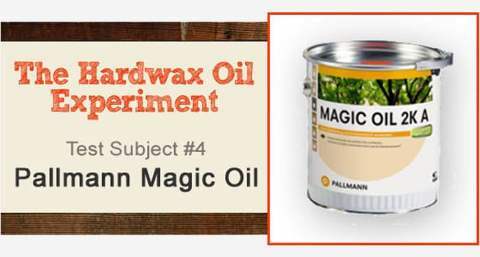 From our experience with over 100+ hardwax oil projects under our belt, I would say that Magic Oil needs less maintenance overall. If you use the Pallmann cleaner regularly, then the Magic Oil Care refresher will only need to be done once a year or so. And if you don’t want to move the big pieces of furniture out, you don’t need to. Have a read of our latest Magic Oil post and that will give you an idea of why it’s such a good finish system. You have indicated in multiple posts that a polyurethane (I assume either water or oil) can be applied over a Rubio Monocoat finish without re-sanding or special treatments. 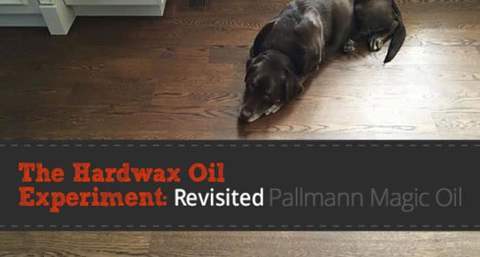 Can the same be done over a Pallman Magic Oil coat? Or is re-sanding or special treatment required in this case? Pallamnn has a product called Pall-X Bond. This can be used for application of a water based finish on top of fully cured Magic Oil without re-sanding. We have never used it. Have never had to, to be honest. We have never had a complaint about Magic Oil ever in the more than 50+ projects we’ve used it on. We love the stuff. Thank you so much for your quick and helpful reply. I find it simply amazing (and fairly unusual in my experience so far trying to get info. for our floor project) that you are willing to offer your time and knowledge to those who can’t even be your clients due to location. 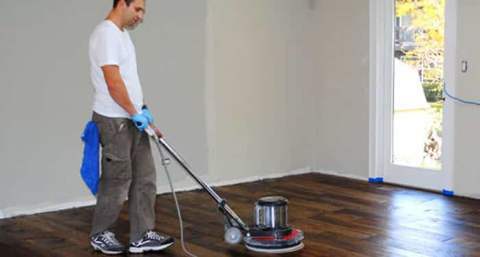 An update: Pallman Magic Oil is emerging as our choice’ however, our floor finish guy has little experience with it and significantly more with Loba High Impact Oil–and he is trying to persuade us to this finish because he is sold on it having no wax component. Loba is only made up of oils only and is 100% solids, seems to have a good reputation; however, have not been able to find as much information on it. Our floor guy cringes at anything with wax in it b/c he views it as higher maintenance and unable to receive a poly overcoat if we find we are unhappy with it down the road. My concern is that only oils and no wax may be more susceptible to stains and chemicals (your earlier blog posts suggested this, but Loba appears to be a newer product compared to the traditional oil penetrating finishes and perhaps performs better?) Would love to have your perspective on this situation if you have a few more minutes of time. As a side note, it also appears that if we want Pallman, our floor guy is happy to sand and prep the floors but we will need to finish ourselves. 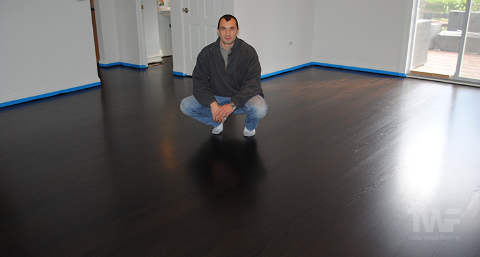 My husband is handy–a carpenter and he actually sanded and finished floors in a previous home with oil poly. 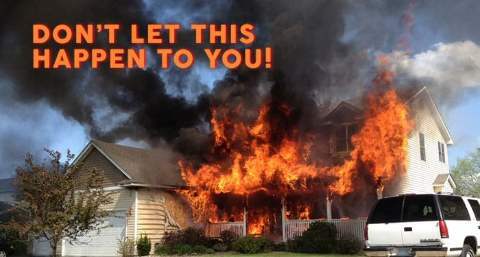 The Pallman reps have been excellent and providing detailed advice so we may take the risk. Your floor guy is mistaken. There is a product from Pallmann called Pall-X Bond that can be used to put a coat of polyurethane over the top if need be. We have been doing some tests with Loba Impact Oil but don’t have enough data yet to give an opinion… but from initial tests it looks like a very good option so far. thanks so much for your information. 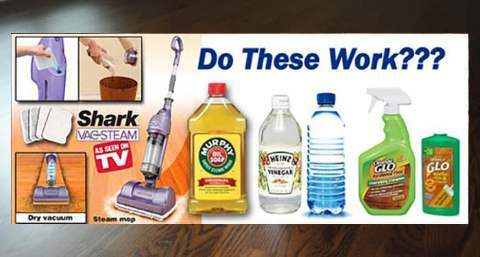 Since you have been so helpful to us, I wanted to update you (and your readers) on what we decided and the results of our project–hoping that it might add to the body of knowledge on Pallmann Magic Oil– as well as seek your advice on a lingering issue that I think also connects well to your expertise, since it appears from other areas of your blog that you regularly water pop. a) Allowed us to use drker stin but t very low concentrtion–bringing out the grin in the lighter Ash but not tinting the non-grined bckground wood very much, thereby llowing us to keep the gret color diversity in chrcter grde Ash. b) Since a Pallmann Magic Oil mix was the only product we applied, we are hoping repairs will e simpler, i.e, we anticipate just sanding an area if needed and re-applying the same 95%/5% mix (plus hardener), therey minimizing lending issues that others have had when stain is added separate from the Magic Oil. Feel free to comment on whether you agree or not with our logic :). 1. We dipped rags into distilled water, rung them out to have a damp (but wet) rag, which we then took across the floor by hand to make sure coat was very even. We let dry at least a few hours (longer than sample area b/c we were doing the the whole floor and then stopped for lunch). 2. We then mixed up small batches of Magic Oil–1/4 or 1/2 liter total (this was key so as not to have harden too fast), applied by trowel, let sit 25-40 minutes (as recommended by Pallmann tech), then worked in with red pad (changing pads when it started throwing oil), and then buffing out with white pad, making sure to change often so that we were getting every bit of excess oil off–we also took white pad over the finish again after about 20 minutes (as directed for best results on the can), just to make sure. We applied and worked in edges with red pad pieces and took off with white pad pieces and cloth rag. For second coat, we applied with buffer using a red pad, drizzling Oil in front of buffer, and removed with white pad as before. We used 2 L for ~700 sq ft for first coat, and 0.5 L for 700 sq ft for second coat. 1) Overall the application was a lot of work, but went well–we are confident we did within the appropriate time frames and that we got all excess material off, and we really like the appearance. However, on the whole floor (as opposed to sample area), the water popping raised the grain to a higher degree, creating a rougher feel and finish that was not smoothed out by the red or white pad. I am stumped as to why this difference occurred–I am very confident we did not add any more water than sample area, however, whole floor area did sit longer before we applied the oil. Regardless, the floor is not as smooth as what I would ideally choose. (though we can live with it if need be). 2) So here, finally, is my question: What, if anything, would you recommend to improve this situation? We have not yet moved in, so if we are to do anything, now is the time. A couple of floor folks have suggested buffing with maroon pad to smooth, followed by a 3rd coat of Magic Oil finish. My understanding is the maroon pad is equivalent to 320 grit, but that sticky grit tape pieces (220 grit) can be taped to maroon pad for a stronger effect. Wondering if you would recommend this action–and if so whether just maroon pad or pad plus grit tape? Our goal is just to create a more smooth, attractive, and inviting feel to the floor–not to remove finish or change the color, or potentially interfere with the uptake of the 3rd coat by sealing the wood pores with the high grit. Please also share any particular concerns or nuances that you think we should be aware of. 3) And finally, one more important piece of advice for your readers: If you water pop (which was strongly recommended by Pallmann tech’s), and you are troweling first coat of Magic Oil on (also as suggested by reps and the Pallmann video), definitely do NOT do as the video instructs and use knee pads while troweling (even if they are smooth plastic). While I’m sure you (Tadas) knows what is coming next here, we did not, since we were following Pallmann guidelines. 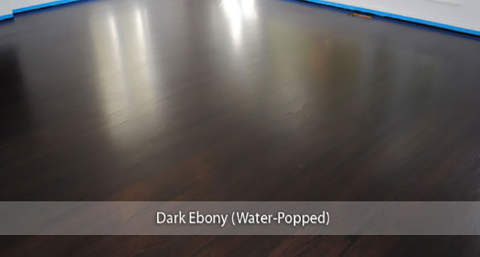 The use of knee pads sliding across a water popped floor as you trowel greatly smooths the raised grain in only that area–highlighting the incredible fragileness of a water-popped floor that you (Tadas) have emphasized. The outcome is a clear sheen difference in these marks going across the floor, and most likely differential oil uptake although we can’t detect visually. We hope that maroon buffer pad treatment will help reduce this effect, but realistically expect that a re-sand would be required to completely eliminate it. Fortunately, we caught what was happening fairly early in the process and are prepared to live with it rather than the major undertaking of re-sanding. Hopefully Tadas this whole report of our experience will be helpful to you and/or your readers. We appreciate any thoughts you have on the maroon pad treatment options above in terms of improving our floor, or of course, any other options that you would suggest for our situation. 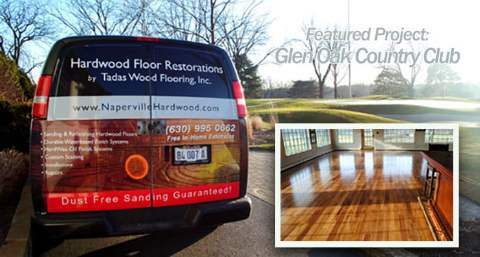 Thank you so much for your blog — we will continue to refer folks to your site for hardwood floor finishing, including folks we know in the Chicago area. Sorry for the delay, crazy busy week. Thank you for your insight for our readers, much appreciated. In answer to your question, yes that is what I would suggest too… buffing well with a maroon pad and then a third coat. You will be able to feel if the floor is smooth before applying the third coat. Don’t coat it until it is. Hi Jodi. First I would try with just the pad. If that doesn’t work, it might not be aggressive enough, then I would try the paper strips. Start with 220 and go down to 180 if need be. Be very careful though so you don’t sand through. I am laying some new 7 1/2″ wide plank hickory flooring with the circle saw marks left on it. I really liked the outcome of using Watco dark walnut danish oil for a stain, it really brought out the saw marks. So I am at the point that I am laying the flooring which I have hand sanded and stained with danish oil. What would you recommend that I use as a finish on the floor once it is laid? I am looking for a old, antique look. It is a fairly low traffic house, however we have big dogs and I want something easy to repair if it gets scratched. Your floor sounds beautiful. I love rustic wide plank flooring. If so, unfortunately it’s not recommended for floors. We have never used it so I couldn’t tell you what a compatible finish to put on top would be sorry. Whatever you choose though, make sure the Danish oil has completely dried and cured. I would give it at least a week, 2 weeks would be better. Also be sure to test out different finishes on scrap pieces of flooring first. Sorry I can’t be of much help Chuck but as I can’t be 100% about an answer, I would hate to suggest something that will fail on you down the road. Thank you for your thorough testing and responses to many questions. Both have been helpful to me. I think you had mentioned that Pallman Magic Oil could be buffed a bit more to increase the shine if that was desirable.. Pretty certain that you also mentioned that OSMO would offer a bit more shine than other products when someone asked about a shinier hardwax oil. So I am wondering if you’ve tried extended buffing with Magic Oil to increase shine? I think we are looking for a bit more shine than two coats of Magic Oil. You can put another thin coat of magic oil for more depth and yes, buff it more to increase the shine. 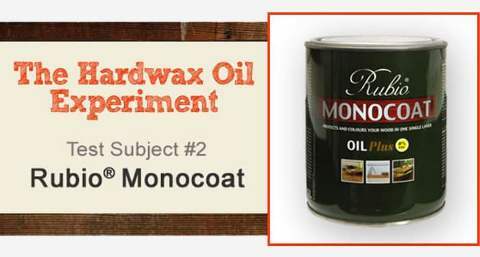 Can hardwax oils be applied over shellac? We haven’t gotten completely into the floors yet but the spots we have found seem to be un-waxed shellac buried under carpet. We like the color of the original floors so it seems like a waste to sand them all down and stain to a nearly identical color. Plus, we don’t really care for the plastic look of poly. How would you handle nail holes from tack strips? Sorry for the delay. 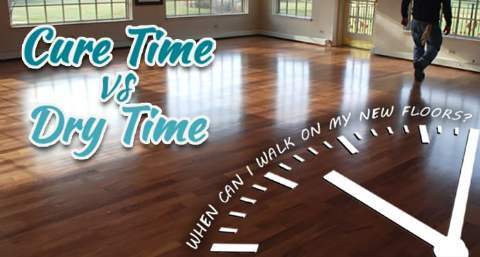 No, the floor needs to be sanded back to bare wood before applying a hardwax oil. Foe the nail holes you could fill them with a similar colored putty, that’s usually the easiest. Hi Tadas – excellent blog! I have some Pallmann questions I hope you can help me with. We have a 100yr old pine floor. Our contractor has successfully taken it back from bitumen brown/black to raw wood filled with pinks & warmth. Whilst we love the look of the raw wood, we did not like the warm yellow/orange & knotty look that the natural Pallmann oil brought out. 1) Is there a way of using Pallmann products to create a raw wood look that you would recommend? (we are looking at the Magic Oil & the 330 oil stains). 2) Is there a difference in the opacity (whiteness) of the Magic Oil colour in White & the 330 stain in white with natural Magic oil over the top? Is one more white than the other? 3) Which is your preference – Magic Oil with colour, or the 330 stain followed by natural Magic oil? (I hear that the coloured Magic Oil is being discontinued – how would that affect repairs?). 4) We found the test board to be almost paint-like in opacity with the 330 stain – is that because it has been completed by hand (due to size) rather than by machine? Would it come up lighter when done properly on the floor? 5) Mixing colours. Can you add proportions of the 330 stain to natural Magic Oil to create a bespoke colour? Or do you need to add proportions of coloured Magic Oil to each other? (So far colour choices have been the only let down with Pallmann – I love colour mixing but our contractor, less so!). 6) If we fail to create a raw look colour we are happy to go darker, but the brown stain looks like creosote & very red. Can you suggest a mix to create a walnut colour or a dark brown without the red? I have heard that the upkeep would be greater as the light wood would show through if we had a scratch – is this true? Apologies for the 20 questions, but we are trying to make Pallmann work for us & there is little info where we are on colour mixing. We have a pre-finished clear maple floor which we wish to refinish with an oil product. The urethane has lightened considerably around the south facing patio doors and scratches are opening into non-covered wood. We have selected an experienced finisher that numerous people trust and swear-by. He has expressed some concern about possible blotchiness occurring with the maple wood. He has talked about water-popping the floor and using Pallmann Magic Oil as the finish. Do you support this product where sun bleaching has been a problem? Do you support water-popping the floor? 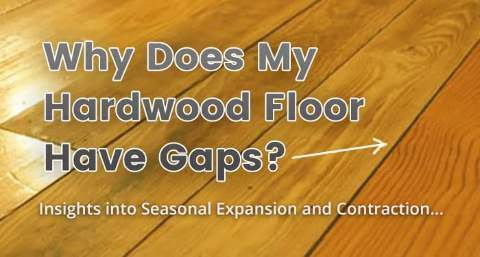 Are there other caveats for maple flooring in a sun-bathed room that we should address before we begin the project? first of all thank you for sharing such great in depth information. I have a question , what do you think about Ciranova is equal to RUBIOMONOCOAT AND PALLMANN? To be 100% honest, I don’t know for sure as we haven’t done any testing. They have very nice colors though. I’m delighted to have found your site and your exhaustive testing. I wonder why when you identified Loba Supra as the BEST finish, you are carrying Rubio and Magic Oil rather than Loba? Having had a clear fir floor finished with a tung oil-based product last year and finding that any time the house is closed up, the place still reeks, I am eager to finish another floor with a no-voc product that sounds as green as what you recommend. Thank you! We test all the finishes we can from multiple manufacturers. We’re not committed to any one brand, but instead use the best finishes we can find from multiple brands if need be. Just because a brand makes a great water based finish doesn’t mean it has the best hardwax oil on the market. They are very different finishes. For fir floors, Magic Oil would be a great choice. Hello there, I am an independent contractor in California and am finishing a desktop that I built with birch for a client. They want as matte a finish as possible so I was thinking of using monocoat for the first time, do you have to sand this product after applying? Loved the article and really appreciate all the detail, thank you for taking the time! (2700 sq.ft.) maple hardwood showing up in a month and am researching which finish system to use. 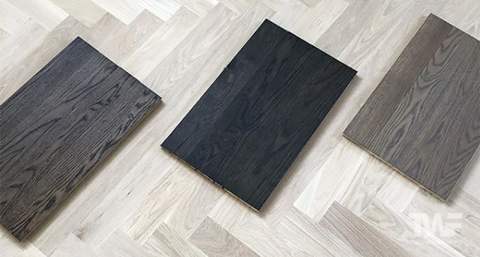 The floors are Owens PlankFloor, Select Maple, 7″ x 5/8″ Engineered with a 4mm wear layer. Will be nailed or stapled down. We would like a natural, near clear finish that will not or minimize yellowing over time. I have focused my research on Loba 2K Invisible Protect AT and an oil finish (Rubio Monocoat or Pallman Magic Oil). I am torn between the super durability of the Loba and the easy repairability of the oil finishes. For a natural, near clear finish on hard select maple, what do you recommend if you were putting this in your home? Thanks!